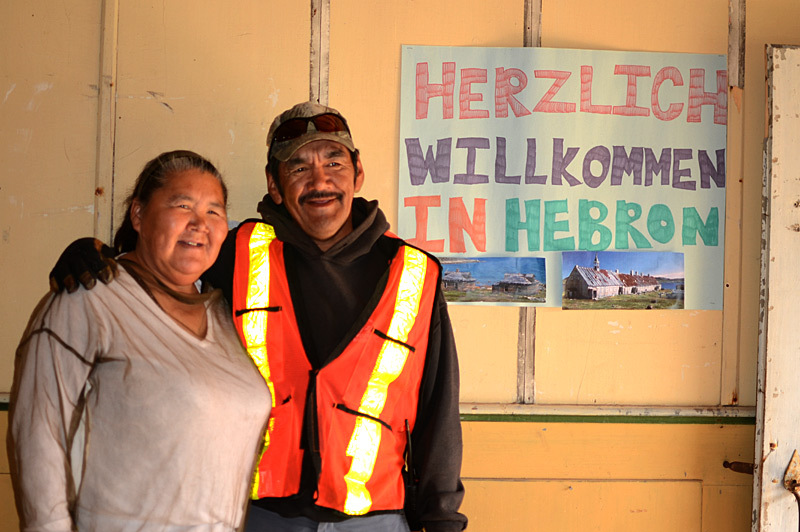 Buddy and Jenny Merkuratsuk were at the dock in Hebron to meet us and help us ashore when we arrived. Jenny gave us a tour of the Mission building and was so pleased to show us the progress on the reconstruction. 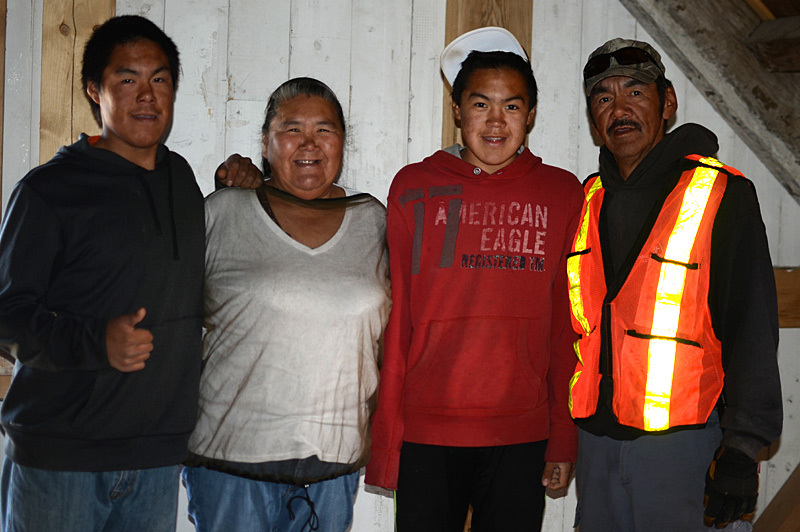 Upstairs in the loft, she asked to have a photo of her family, l-r: Julius, working as a carpenter on the site, Jenny, Simeone, who went the following week to head the kANGIDLUASUk youth program at the Base Camp, and Buddy.